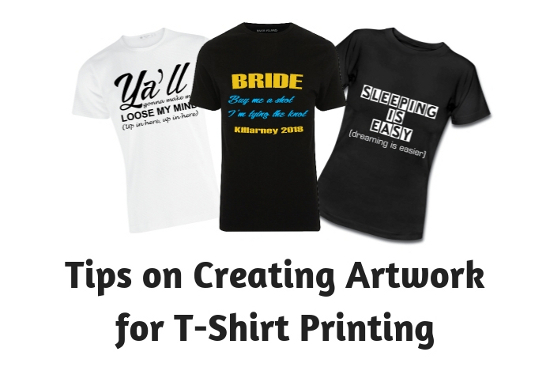 Today artwork on T-shirt is a very popular outlet for designers. Fashion trends change like winters to spring. Like the season, your creativity should change from coal black to something light and summer. Thinking about color at first? Sounds strange but it will help to avoid details. If the design is already created and you only have to imprint it on the t-shirt then creating that garment will become easier. But you have to check the graphic design before choosing the color. Because it the color of the design and t-shirt matches, the outer edges of the design will become invisible. But if you start from scratch, you can paint your t-shirt in your color. Always choose the correct Pantone reference for T-Shirt Printing. If you choose PMS colors from graphics applications such as Adobe Photoshop, you may get different results because of the differences in color calibration from monitor to monitor. The best technique to pick the right color is when both parties are taking the same references. Both parties should pick the same physical color booklet. Adobe Illustrator provides vector graphics which are not built up with pixel grids. This will help you to resize the files without changing print quality. It will help you print the same design without pixelation or blurriness. When you make your design an application such as Photoshop, always pick the print size with a resolution of 300 pixels per inch. Whenever you copy or paste the low-resolution image into your work, it will resize the graphics and will appear into a smaller size. Never scale those images any larger otherwise it will look blurry and will print on your design with poor quality. For escaping this mistake, you should always make your artwork big with high resolution than necessary; it will help to minimize the color issues. If you are using hand-drawn artwork and you have to digitalize the artwork then you should be positive that you have scanned the design in proper and precise resolution. The thumb rule for avoiding any kind of inaccuracy is to draw your work at actual size and scan it at 300 dpi. If you have created the design with fifty percent scale then you have to scan your work with double resolution (600 dpi). You don’t have to divide the color at your own. When you go to a good print shop, they will create spot color separations themselves. No matter which application you pick, always choose RGB mode. When the full t-shirt artwork will create, the printer may use 8 to 12 spot colors to produce a good spectrum of color to your work. Always provide the whole details and instruction before printing. Sometimes, the pre-press department has to do some extra work for corrections. If you consult the printer ahead, it will provide you the perfect results. After completing the design, always save an editable file, in case you want some changes later. If you get any kind of printer issues, you can easily make changes without working from scratch.